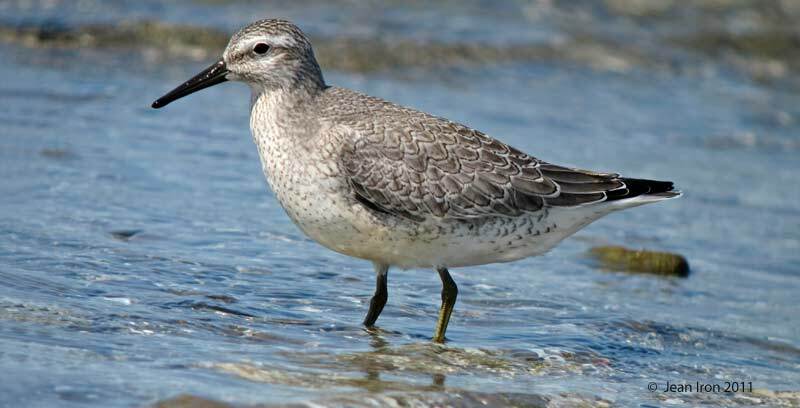 Juvenile Red Knot watching for aerial predators such as Merlin on 22 September at Presqu'ile Provincial Park. 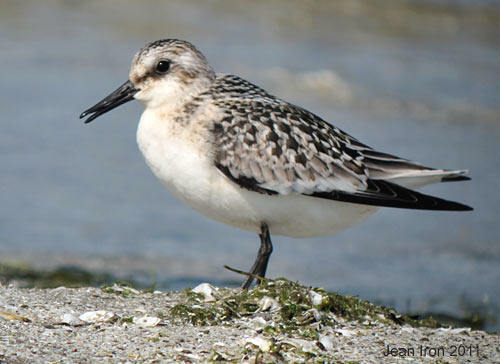 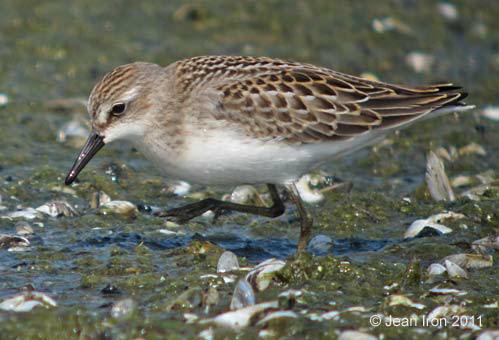 As water levels in Lake Ontario drop, mats of algae at Owen Point attract many shorebirds. 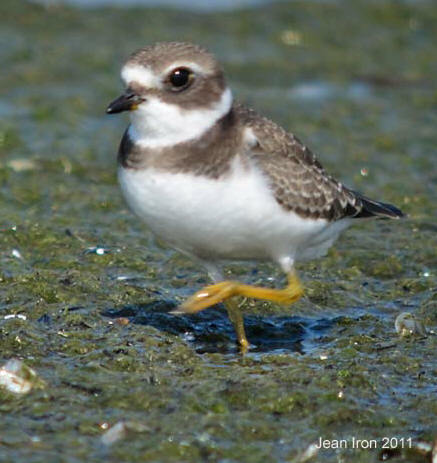 Presqu'ile Provincial Park on 22 September 2011. 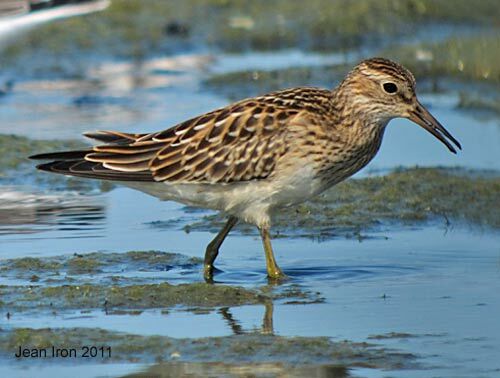 Semipalmated Sandpiper in juvenile plumage at Presqu'ile Provincial Park on 22 September 2011. 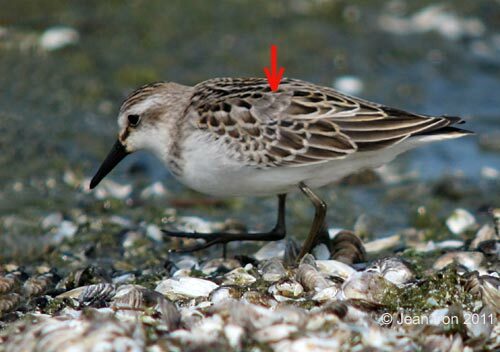 Semipalmated Sandpiper beginning to molt from juvenal into formative (first winter) plumage. 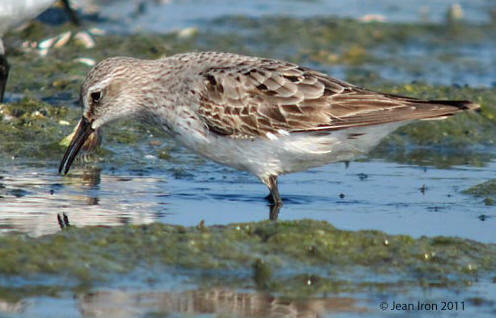 This is unusual because juvenile Semipalmated Sandpipers normally do not molt while migrating through southern Ontario. 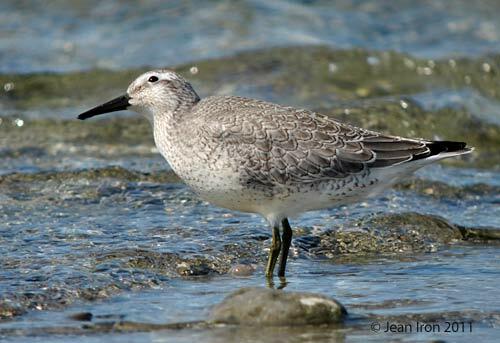 Presqu'ile Provincial Park on 22 September 2011.